3 obstacles in one , Pause Table, A-Frame & Dogwalk. Pause table is regulation 36 x 36" and 22/10" high. 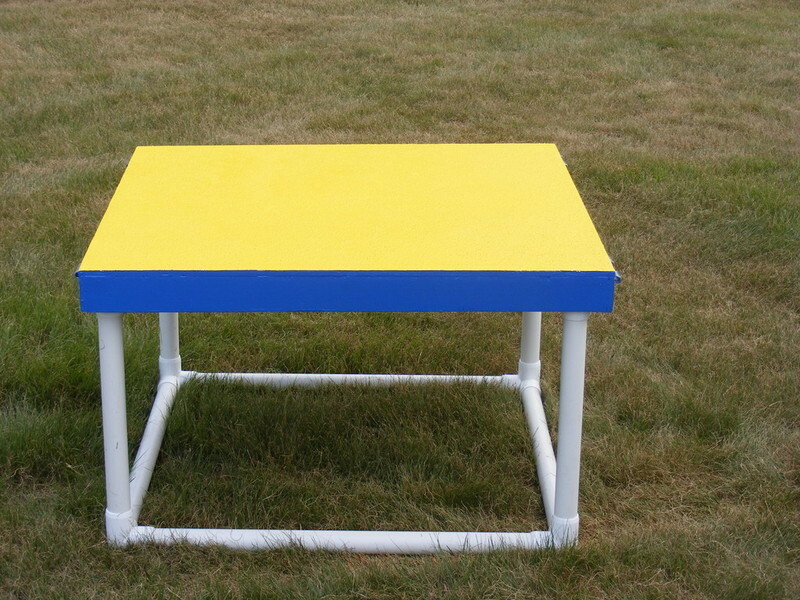 By switching out with the supplied legs the table can easly be converted to 10" high. All 3 pcs. are covered with a special tinted grit/primer combination for maximium traction even when wet. The grit/primer combo is covered with TWO coats high trafic exterier paint. 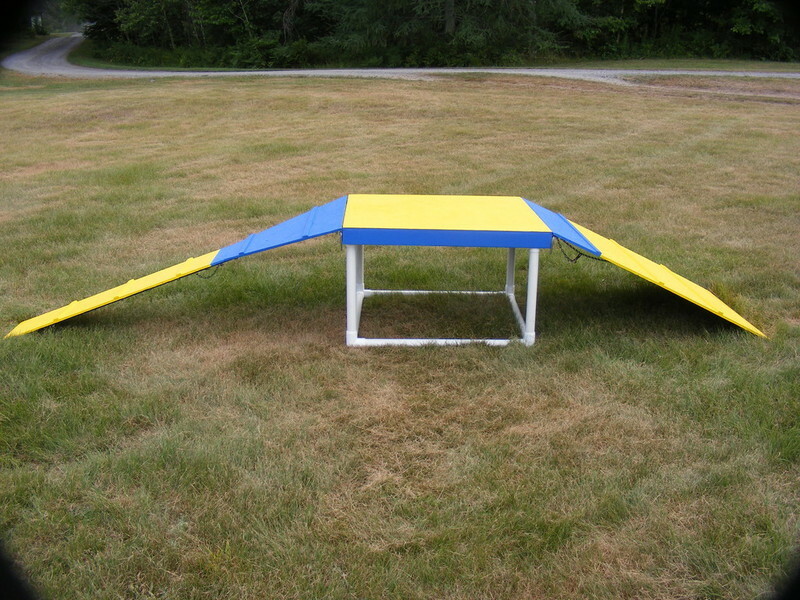 2-WAY A-Frame & Dogwalk trainer is constructed from 1/2" exterier plywood. The 1" square aluminium framing keeps the eqiupment light weight and easy to move and store. 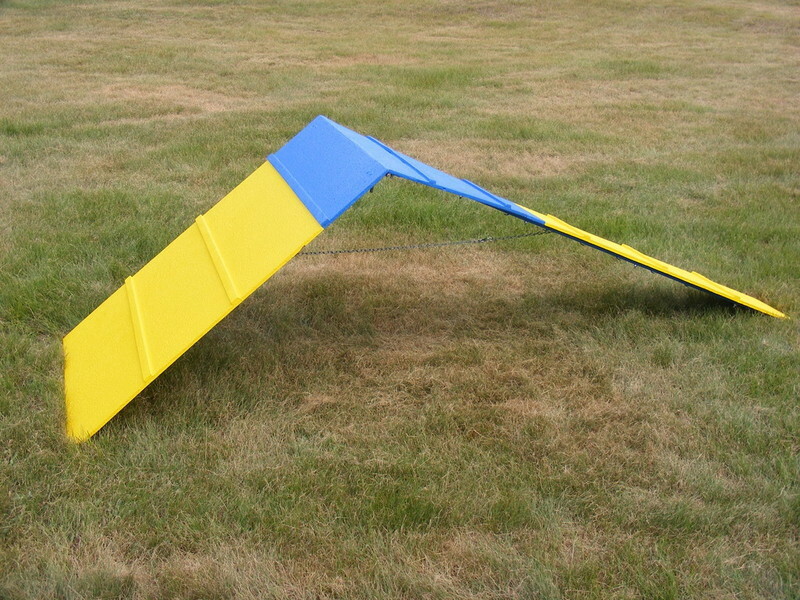 Ideal for winter indoor and summer backyard training.